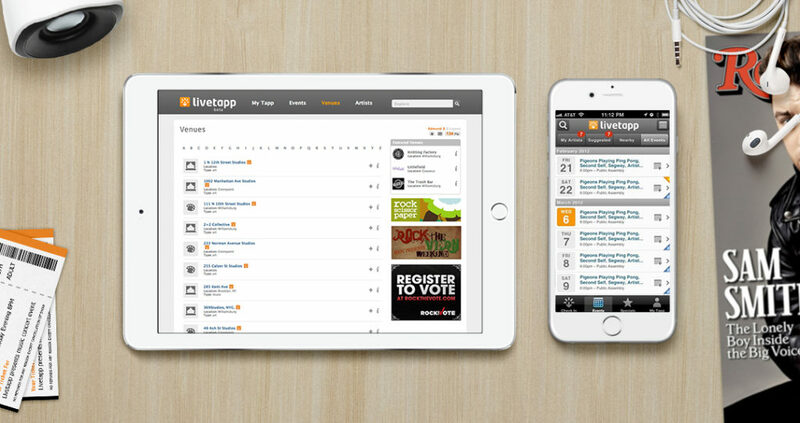 The visionaries at Livetapp helped music fans experience more of the live events they love and earn rewards. They needed to create an easy-to-use website and multi-platform apps that were fun to use and valuable to their customers. We rolled up our sleeves and embraced the challenge. 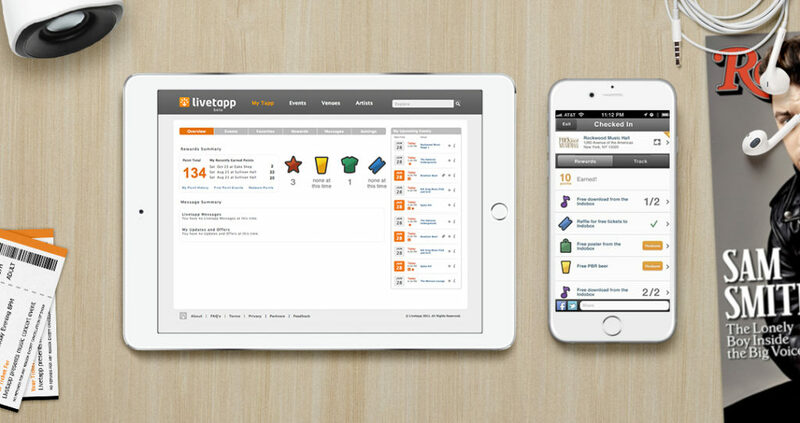 Over the course of this project we developed a number of prototypes to build the User Experience. Through each iteration we streamlined the user journeys of finding events, tracking user’s earned rewards, and connecting fans with artists and venues. The iPhone and Android apps we designed included new features like easy to complete profile creation process, and allowing users to import their music libraries when signing up to help provide them with content and opportunities from artists they already love. 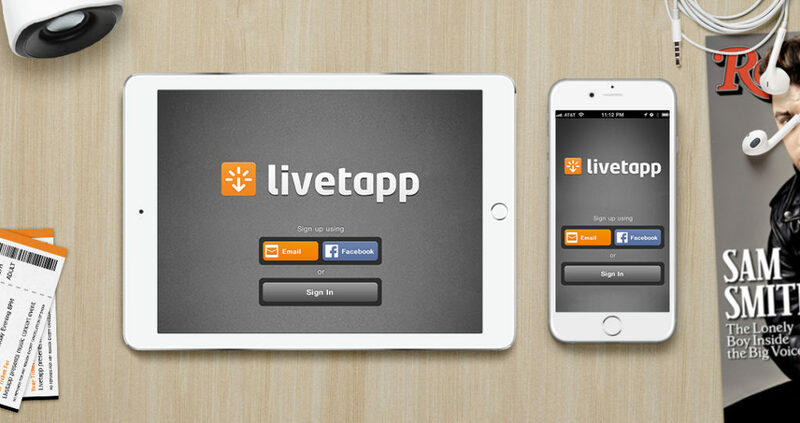 We designed a series of elements to create a common graphic language across the platforms enabling a consistent and engaging user experience for all of Livetapp’s users.